If you are looking for quality home care on Long Island, contact Caring Hands Home care Inc. We are a Long Island based company that provides quality and compassionate in home care for disabled and medically fragile individuals. Caring hands is an experienced home care provider that has been providing home care services to Long Island for two decades. 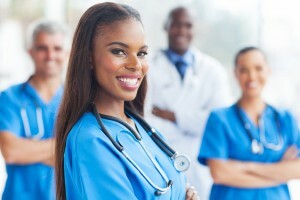 Caring Hands Home Care is a nurse-owned company that is fully licensed on Long Island. They offer compassionate home care services to the sick and disabled as well as services to patients in hospitals and health care facilities on Long Island. They offer home care services to Long Island clients that may be home bound or just need a little assistance. They can take care of simple tasks as well as assist patients with more serious medical conditions. We are licensed by the New York State Department of Health to provide home care services as well as care in a hospital or health care facility or setting for our patients. The staff at Caring Hands on Long Island has years of experience in the home care industry. Nursing supervisors work with caregivers to evaluate the condition of each patient on a bi-weekly to monthly basis to ensure that each patient is receiving the highest quality home care possible. We are a quality home care provider that services Long Island and we want to ensure that the home care services we provide on Long Island are first rate. Caring Hands offers supervised and managed home care services twenty-four hours a day, seven days a week. We work closely with Long Island families and caregivers of our patients to ensure that the home care provided is compassionate and always of the highest quality. In addition to day to day caregiving and assistance, we are a home care provider that also offers assistance with case management and the insurance process. We strive to ensure that we take care of every aspect of our patients’ home care. As a compassionate home care provider on Long Island, Caring Hands has a mission to provide the highest quality of in-home healthcare services through compassionate and highly skilled professionals. They are also a leading provider of pediatric home care services for medically fragile children and medically vulnerable adolescents and adults. If you are interested in employment on Long Island with a compassionate home care provider located on Long Island, there may be an opportunity for you at Caring Hands Home Care Inc. It is a great place to advance your career, and receive hands-on knowledge and experience about the home healthcare industry and to ultimately make a difference in the lives of our patients. In addition to a rewarding career, Caring Hands is a home care service on Long Island that also offers many benefits and competitive salaries. The staff at Caring Hands Home Care on Long Island truly wants to make a difference in the lives of those they assist. If you or someone you love on Long Island is in need of home care services, contact the most experienced and compassionate home care services on Long Island. Call Caring Hands Home Care on Long Island at 1-866-794-1644 today.